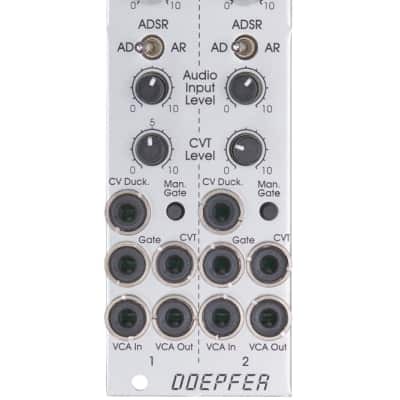 Module A-142-2 contains two envelope controlled VCAs behind a front panel with 8 HP only. 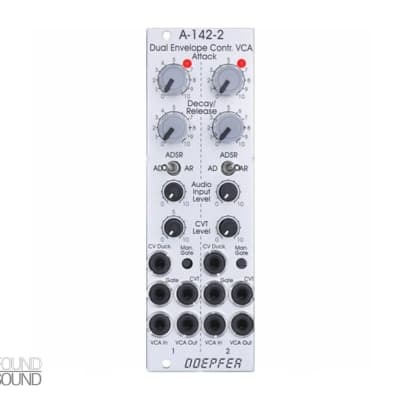 Each of the two sub-units is the combination of a simple AD/ADSR/AR envelope generator and a VCA. The type of envelope can be selected by means of a toggle switch.